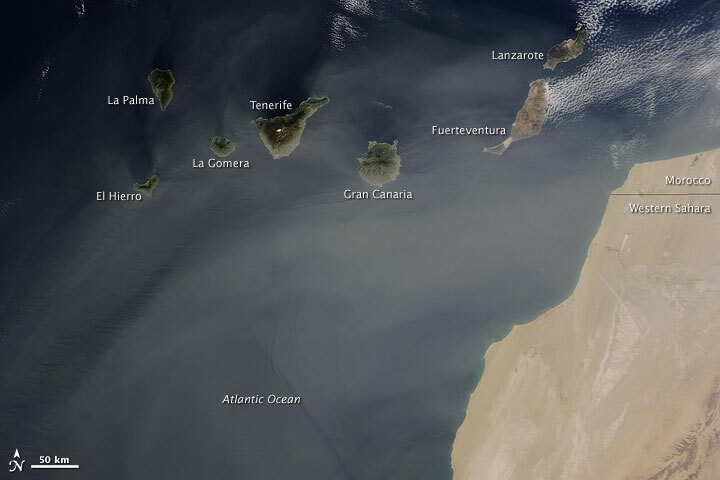 Saharan dust skirted the Canary Islands in early February 2010. The Moderate Resolution Imaging Spectroradiometer (MODIS) on NASA’s Terra satellite captured this true-color image on February 6, 2010. A thin veil of dust blows westward past some of the islands, gradually turning toward the southwest south of El Hierro. Source points for the plume are not apparent in this image, and the dust may have originated far inland. 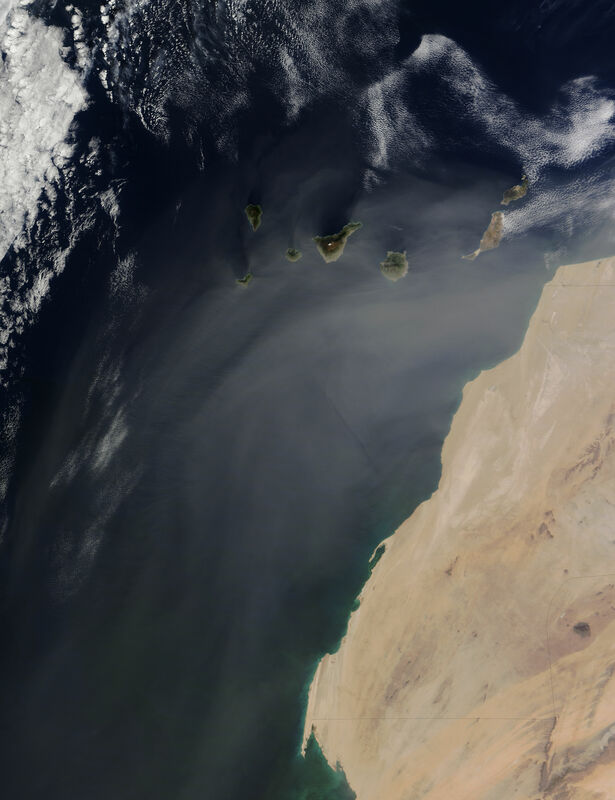 The Canary Islands and the neighboring archipelago to the south, Cape Verde, often receive regular doses of dust, but Saharan sands also travel to the Western Hemisphere, affecting islands in the Caribbean and supplying soil to the Amazon Rainforest. Acquired February 6, 2010, this true-color image shows a thin veil of dust blowing past the Canary Islands, gradually curving toward the southwest south of El Hierro.